Chess simulator with advanced features. Gambit Chess will help to improve your chess skills and become a better tournament or casual player. 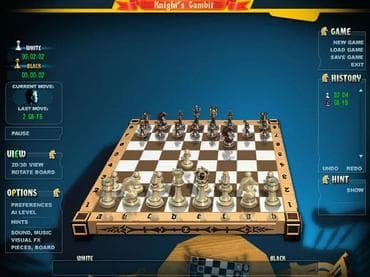 Gambit Chess is an enjoyable experience for any chess player and now you can download this amazing chess game for free! Free Game Features: - Advanced chess game engine; - Amazing graphics and relaxing soundtrack; - Game statistics; - Free full version game without any limitations. If you have questions about Gambit Chess game, please contact us using this form.